Home » Learner Perspective: Whose Stone Is It Anyway? 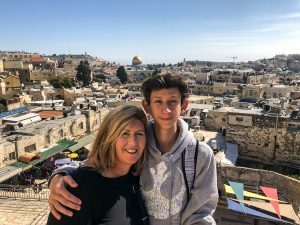 Note: This is the first in a series of posts from a team of iLEAD learners who recently traveled to Israel, along with iLEAD founder Amber Raskin and iLEAD Director of STEAM Initiatives Kathleen Fredette. The trip was part of iLEAD’s inaugural Science Accelerator program. While in Caesarea, the ancient Roman city built by Herod the Great, I noticed how grand and luxurious everything seemed. The giant theater had marble pillars and a vast array of seats, Herod’s own home had a huge pool inside, and the massive harbor that was the main draw of the city (now sunken 12 feet under the water) was grandiose. What I did not immediately notice, and which our tour guide Ilan pointed out, were the stones. The stones, which most would assume are bland and useless, actually have a very interesting story. 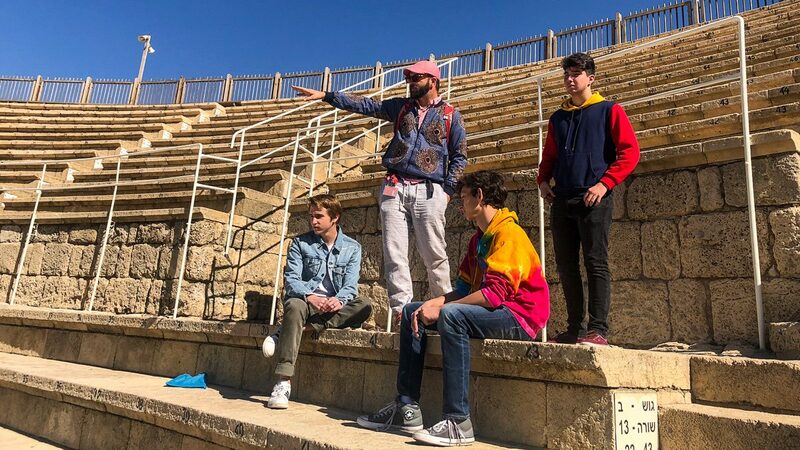 Looking at the seats of the theater revealed different types of stones, different amounts of weathering, missing seats that had only been replaced in modern times by archeologists, and much more. Don’t worry, I’ll explain what this all means shortly. Upon walking down to an ancient Roman horse racing track, I noticed that the rows of seats and the track itself were abruptly cut off by a wall which belonged to a now crumbled house. Ilan informed us of something which made me reconsider how I viewed this ancient port city. Long after it had been abandoned by Romans, people moved into the area and just up and built a house wherever they wanted! This made me realize that this city was not a one-dimensional place, frozen in time for us to view and perfectly preserved and discovered by archeologists (unlike Pompeii), but was in fact used many times over the millennia by different groups for many different uses. The stones that I previously mentioned as being different and even missing were like that due to people taking and using them for whatever they wanted. Each stone had a story to tell — not all were from one time period. This ancient city had been repurposed by many and used in whatever fashion they desired. It could even be argued that the city wasn’t even Roman; rather, it belonged to all who had used it over the many years it has existed. In fact, the whole city laid a few feet below the dirt up until about 200 years ago, where it rested adjacent to a village built by crusaders. While in Jerusalem, Ilan took us to the Church of the Holy Sepulchre, which tradition holds contains the tomb of Jesus Christ inside. 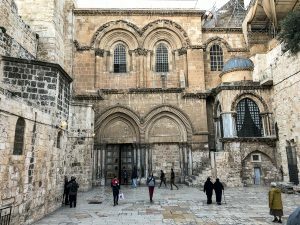 Ilan taught us about how the church is divided into multiple sections for many religious groups, and how the old city of Jerusalem as a whole is divided into the Christian, Jewish, Muslim, and Armenian quarters. The city of Caesarea and its story of shared land is not an isolated part of Israel’s history. Israel has a deep, rich, and stretching history, which some would consider a problem depending on how you look at it. After all, many factions have had claim over its ancient stones.